It’s been almost a week since Ash Wednesday. The priests are wearing Purple. We’ve heard the story of Jesus in the garden at Sunday Mass. The stage has been set for our yearly Lenten almsgiving, prayer and fasting. We’ve all settled on what we’re giving up this year and during the first few days of Lent, we’ve probably been pretty successful. We feel good; confident in our unshakable ability to overcome temptation. But the true temptations never come when we’re ready. They come when we’re vulnerable. 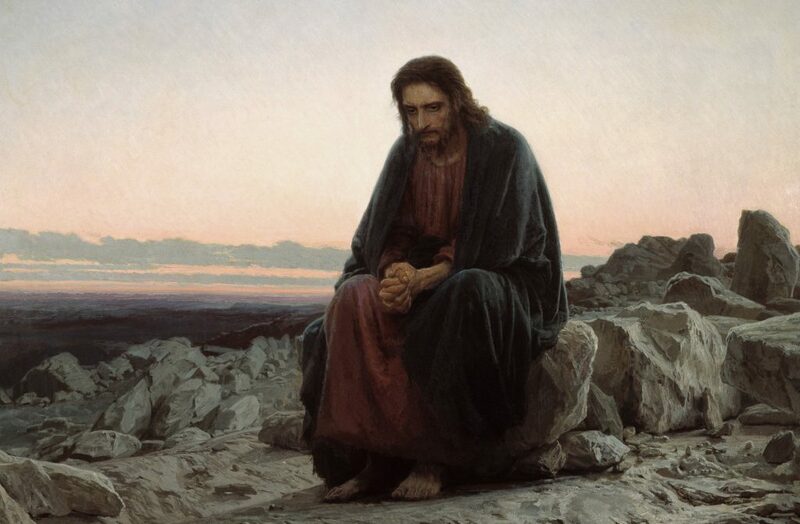 Jesus wasn’t tempted in the garden on the first day, fully rested and prepared. He was tempted after weeks of fasting and solitude. Most of us would probably agree to just about anything after being alone and starving for 40 days. So giving up candy or chocolate, even alcohol and social media may seem easily doable after a day or two. But fast forward to week 3 1/2 when your co-workers bring in cupcakes for someone’s birthday or everyone goes out for drinks and all anyone can talk about is that hilarious video that was on facebook. You’ll probably encounter some tough temptations over the next few weeks. Ultimately though, it’s not about the chocolate or the beer or Facebook, but about making a sacrifice to Jesus, even in a small way. When we give up something earthly, we are reminded of what Jesus said in the Garden, “One does not live by bread alone, but by every word that comes forth from the mouth of God.” (Matthew 4:4) Our fasting reminds us that it’s God who nourishes us. Close your eyes and imagine that you’re standing on a parched and dusty hill in the middle east. Feel the dry air and heat from the sun hitting you. You turn and see that you are standing at the feet of Jesus on the cross. The wood is stained from blood. The feet of Jesus are dripping with blood and sweat. He’s thirsty and tired and in pain. Take a moment to visualize how this looks and feels. Remember that he is doing this for you. Every time you give in to temptation, he has more pain and more thirst and the sun it hotter and the air is dryer. When you overcome temptation, it eases his pain, the air cools, and he rests a bit. Keep this image of Jesus on the cross in your mind. Now open your eyes. 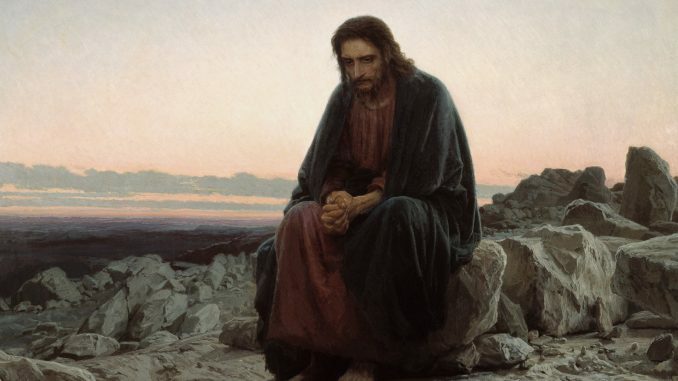 Whenever we face temptations, in Lent and throughout our lives, we should always remember that image of Jesus on the cross and how we can ease his suffering by overcoming them. It’s not ‘by bread alone’ or anything else in this life that fully nourishes us, but ‘every word that comes forth from the mouth of God.’ And always remember that even at your most vulnerable, just as Jesus was after 40 days in the Garden, you’re never really alone.